Home Information My Tenant Won’t Allow Access! My Tenant Won’t Allow Access! Many landlords will have experienced a tenant denying them access to a property – whether for an inspection, viewings or legal duties. It’s easy to understand the view of ‘It’s my property, I can enter when I want’, but unfortunately that’s just not the case. When a tenant moves into your buy-to-let, they gain a fundamental right in English property law, what’s known as ‘quiet enjoyment’. This effectively means that they can deny access to anyone, including the landlord owner, the have what’s known as exclusive possession whilst they reside there. Quiet enjoyment gives tenants the legal right to live in a property without interference from the landlord, or their representatives such as a letting agent. So, although you own the property, you cannot behave as a property owner with full access rights once a tenancy is granted. As a landlord you’ll also need to be wary when attempting to gain access, as the Protection from Eviction Act 1977 protects tenants from harassment and unlawful eviction. Always ensure you give a minimum of 24 hours’ notice and receive written (email or text would be valid) confirmation from your tenant that they agree to the access, especially if they are not going to be present. Many landlords and letting agents write into their tenancy agreements that access must be given, as long as they give 24 hours’ notice to the tenant. Whilst the minimum 24 hours’ is correct, this stipulation is unlawful. Stating that access must be allowed for viewings or inspections directly contradicts a tenant’s right to quiet enjoyment. They can prohibit entry to the property. Another area to be wary of is prior permission for access. If a tenant has previously allowed a landlord or agent access, you could assume that this will always be the case. However, it’s not worth the risk if a tenant later objects to access so always ensure you are giving the required notice. Tenants have busy lives too and it’s best to be considerate of their availability. Rather than stating that you will be visiting at a certain time, ask for a few dates and times that suit both of you. This shows respect to their home whilst allowing you to maintain your property. If a tenant denies access for a legal requirement, such as a gas safety check or serious maintenance issue, there are ways to gain entrance. Firstly, explain to the tenant that you need access for legal reasons and this is for their protection as well. If your tenant still denies access, you’ll need to get in touch with your local authority who will be able to serve an order on your tenant to allow access. Because of this potential scenario, it’s best to arrange and notify your tenant as early as possible when it comes to legal obligations. This issue could become much more important going forward as any landlord needing to serve a section 21 notice may be stymied if access for gas checks and EPC re-assessments is denied – a valid Section 21 cannot be served without these current certificate being in place. Viewings are a sore point. It’s important to a landlord to show a property to prospective tenants when the current tenant is leaving, but the tenant in situ is not legally required to allow this. This could lead to a dreaded void period if you are made to wait for the current tenant to leave. Unless there’s been a severe communication breakdown, talk with your tenant to explain that the quicker you can get new tenants signed up, the quicker you’ll be out of their hair, to let them finish their tenancy and get their deposit back. The most important thing to remember about access is that whilst this is your buy-to-let property, to a tenant it’s their home. Think how you would feel if someone wanted to access your property to carry out an inspection or bring viewers round? Be respectful, communicate and be flexible when arranging access. Explain why you need access and don’t assume that you can enter whenever you please, you must have the tenant’s confirmation to avoid any tricky legal situations. If you’re having difficulties with a tenant denying access, you can join the Upad Landlord Club and access free legal advice. This effectively means that they can deny access to anyone, including the landlord owner, the (they?) have what’s known as exclusive possession whilst they reside there. if access for gas checks and EPC re-assessments is denied – a valid Section 21 cannot be served without these current certificate (certificates?) being in place. Yuhuuu!! Finally abusive viewings/inspections going to stop!!! No more coming when they want!! You should work harder, buy your own property, and you’ll have no need to worry about inspections to ensure you’re maintaining their hard earned investments. Every tenancy is different good and bad on both sides, some tenants have probably owned better houses than some landlords. 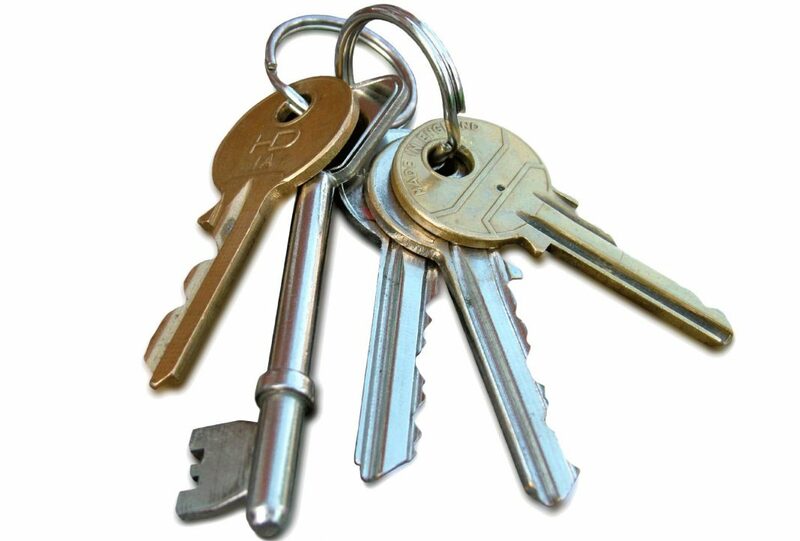 Don’t assume as a landlord your better than a tenant without them you could have empty houses, repossessions and debt. Reply to MR Sullivan We don’t WANT to come to inspect your gas/electricity appliances. Its the law. Its to keep you safe. Its expensive. Its just a much a pain in the backside for landlords as well as tenants Especially when you give 24 hours notice to your tenant, stand outside your property with the gas man in the P****g rain. You knock on the door which is not answered, you try the door, and find the lock has been changed. You give the gas man a tenner for his trouble, then try really hard not to shout obscenities through the letter box. So, yes, I do think landlords should be able to gain access to THEIR property when a genuine need arises. And Mark, I wish my house WAS empty, and my awful tenant was gone. And as for debt, I have that WITH this tenant. £1300 worth of it!